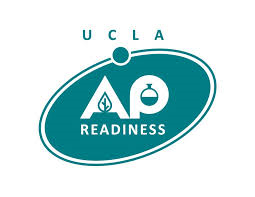 Tomorrow is the last day of this semester for STEM AP Readiness at UCLA’s campus. This workshop is very beneficial for students taking an AP course in those subjects. It gives students a grasp of what is going to appear on the AP test next school semester on May. This workshop is intended for students to strengthen their knowledge in areas they needed to improve on or just to give students an overall view of what is crucial when taking the AP test. These “workshops [are] providing students with the skills necessary to be successful in college level classes and hands-on AP activities” according to UCLA AP Readiness Program. There are two sessions a day, the first one beginning from 9:15-10: 55 a.m. and the second session from 11:15-1:00 p.m with a 20 minute break in between. You are able to choose two classes a day in which you feel you need most improvement on.